Beginning in 1998, Champion developed Gaslamp CitySquare (“Gaslamp”) in Downtown San Diego’s famed Gaslamp Quarter National Historic District. Gaslamp is a nearly 500,000-square-foot mixed-use project comprised of 225 luxury condominiums, 55,000 square feet of “High Street” retail/restaurant space and a 560 subterranean parking garage (270 for general public use) – all on the pivotal block bounded by 4th and 5th Avenues, Island Avenue and J Street. In the late 1990’s as the redevelopment of the Gaslamp Quarter progressed under the regulatory supervision of the Centre City Development Corporation (CCDC), 4th and 5th Avenues were activated from Broadway south to Market Street. However, there was still no clear connection between Market Street and the Convention Center four blocks to the South. Champion recognized that the CCDC would promote public policy to connect Market Street to the Convention Center and in 1998 purchased this entire city block parcel. Shortly after Champion’s purchase, the CCDC announced its downtown ballpark plan that resulted in the development of Petco Park. As a result of the implementation of that plan, Champion successfully developed the first mixed-use project in the Quarter with its Gaslamp development. The design achieved a 4.0 FAR using Type III-modified wood frame construction over Type I and successfully met the Secretary of the Interior’s guidelines for development in historic districts. 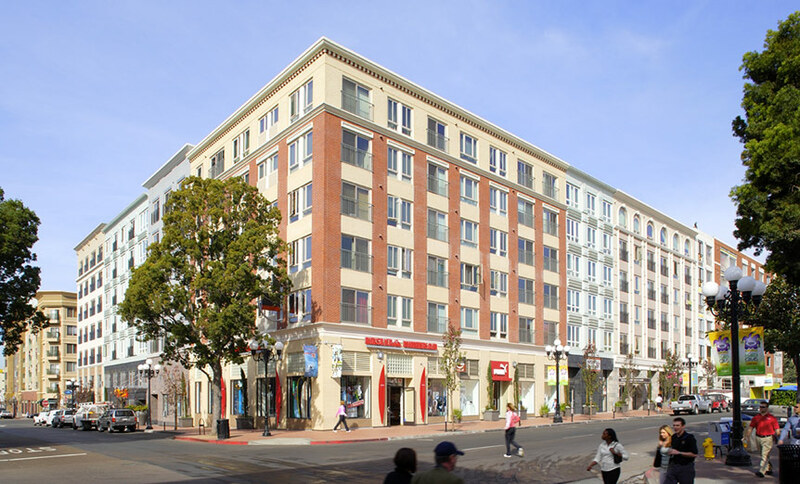 In September 2013, Champion sold the retail component of the Gaslamp mixed use development as its final holding in this investment.